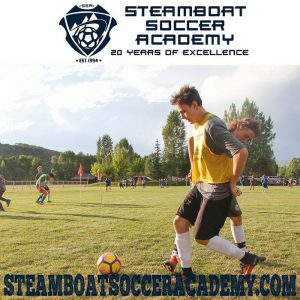 Steamboat Soccer Academy has offered a unique soccer camp experience for thousands of participants over the years. Through our daily sessions, we create opportunities for players to gain new skills and understanding of the game of soccer. Each evening, we bring our players together for small sided games to apply the skills they have learned in a team setting. On the 3rd night of each session, we take these games to the next level in the Steamboat Soccer Academy Adidas 6-vs-6 Tournament. 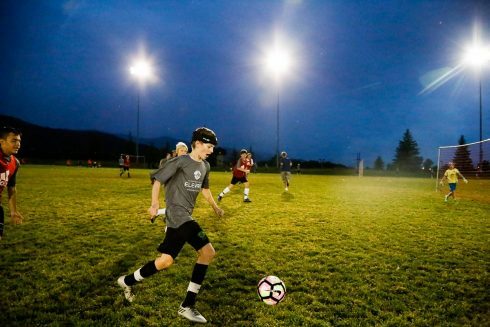 Under the lights at Ski Town Fields, all of the session campers are brought together for the most memorable night of the soccer camp. With the DJ cranking out tunes, parents in attendance to watch and up to eighteen 6-vs-6 games being played simultaneously, there is tons of energy and soccer. This night of competition is without a doubt the most talked about session and fondest memory for many of the players’ youth and high school soccer years. The competition is a celebration by playing the game of soccer in its purest form; finding space with the ball, tons of chances on goal, new teammates, and talented opponents. Our coaching staff organizes the players into groups and records the teams’ points throughout the night. By design, if you attend, you will see little coaching and organizing. We ask the players to do the coaching and organizing. These decision making and communication skills are such an important skill for players to develop and may get stifled along the way with too much coaching from the sideline, by coaches and parents. Problem-solving and directing solutions are important leadership skills for our current generation of youth soccer players to apply within the game. Join us on the 3rd night of your session this summer to be a part of the energy and the memories!